Over the past decade, we’ve seen a dramatic shift in how we perceive bar soaps. When I got my first block of soap, as a kid, I was so proud; it may sound silly to you now, but it felt like I was one step closer to that awesome world of adults! Soon after, I got my first razor; my father taught me how to shave, and I felt like I was at the beginning of a brand new chapter in my life! Nowadays, bar soap almost seems like a relic of the past, not a lot of people even talk about it, let alone use it. For some reason, bar soaps became the “bad boys” of the skin care industry! We are here today to change all that; we want to show you that the best bar soap for men can take on even the best face washes as well as liquid soaps, with ease! How Does A Soap Work? 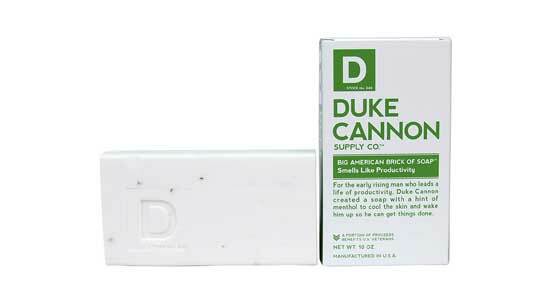 5) Duke Cannon Bar Soap For Men – It’s Huge! In short, our household soap is built of two different kinds of molecules. One type will bind to the oil and dirt found on your skin, and the other will bind to the water when you rinse. This is why water alone will not clean your skin entirely, but it also the reason your skin will feel dry after using bar soap. Although bar soaps got a bad rap in the recent years, manufacturers made sure you still had a vast choice in front of you. Whether you are shopping online, or in your favorite supermarket, chances are you will be overwhelmed by the sheer number of different products, manufacturers, and brands. Commercial: this is, what we call, a mass-produced type of soap and you should avoid it as much as possible. Why? Well, these soaps essentially contain less soap and more detergents, artificial fragrances, colors and other nasty stuff. But if this is the case, why do so many people still buy them today? -Mostly because they are plentiful, easy to come by, and cheap. As opposed to handmade soaps, they take about 10x less time to produce, so you can see why manufacturing them is such a lucrative business. Handmade: this is the type we will most commonly recommend because these soaps contain quality ingredients, vegetable-based oils, more glycerin and generally will not irritate your skin. As opposed to commercial soaps, these take up to 6 weeks to make and, as a result, will leave vegetable and essential oils intact, while removing harmful ingredients. Their texture is softer, they smell amazing and will feel amazing on your skin. Artisan soaps: these are handmade soaps “on steroids.” Specialists who make them will add more luxury, organic ingredients such as clay, extravagant oils, goat milk, etc. These are specialized soaps and will often have a higher price tag. Plant based: plant based soaps(as the name suggests), do not contain any animal fats and are great for sensitive skin. The term “soap” we commonly use actually refers to the sodium salts or fatty acids found in it. These salts and fats are produced in the saponification process where they are mixed with lye. The end result of this process is a combination of glycerin and soap that does the actual cleaning. It binds to the oil commonly found on your skin and allows you to wash it away with water. As for commercial soaps, they use artificially produced detergents. One of the most commonly used detergents is Sodium Lauryl Sulfate (SLS for short). Though there are no long-term studies concerning the harmful effects of SLS, The American College Of Toxicology states that prolonged use of beauty products containing SLS (even in smaller quantities) can lead to skin irritation. International Journal Of Toxicology did a study where they showed that increased quantities of SLS led to mild and severe skin irritation and even corneal damage. This is why this body stated that, in skincare products, the concentration of this chemical should not exceed 1%. What worries us is that many manufacturers do not provide this information on the label; they only state that SLS is present, but do not specify quantities. Glycerin is one of the main, if not the main, ingredients you will want to look for when buying a mens dead seabar soap. So what is so special about it? Well, glycerin is considered an excellent humectant. The humectant is a substance that locks in the moisture. Unlike most commonly used bar soaps that dry out your skin, glycerin soaps will help your skin lock in the moisture and keep your skin hydrated for hours. Precisely for this reason, we recommend glycerin soaps to people with overly dry, sensitive skin; even for people with eczema or psoriasis. We all love smelling good, it makes us feel good, and it may even make other people like you more. But when it comes to adding a fragrance to the bar soap, you need to know one vital piece of information – the FDA does not require manufacturers to disclose they “trademark fragrance” on the label. What this means is that though your soap smells like “rainforest in the fall,” the smell might come from a concoction of a number of harmful ingredients! Natural soaps, on the other hand, are scented with pure essential oils and will smell amazing! Keep this in mind when going shopping. This statement might oppose common sense you might have used to buy men’s bar soaps so far, but you need to stay away from antibacterial soaps altogether! Why? Just recently, FDA banned some “antibacterial agents” commonly used in these types of soaps. Their research showed that these antibacterial ingredients might affect how hormones function in our body – making it potentially carcinogenic. These are just some recent findings, based on which we decided to advise against the use of antibacterial soaps. It may surprise you to know that there is a significant difference between male and female skin, besides the obvious facial hair. 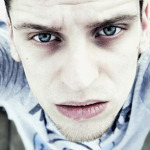 Man`s skin is actually 25% thicker (source: Dermalogica UK), due to hormonal stimulation. The skin texture is also tougher. Men have more trouble dealing with oil the skin produces. After puberty, oil production is higher in men than women, and it may also cause acne to last longer. But don`t worry guys, we have one thing going for us which is collagen. Our skin has a higher collagen density when compared to women’s. Since collagen is directly related to skin aging, it is said that man`s skin looks 15 years “younger” than a woman of the same age. But then again, men don`t use sunscreen as often as they should so women usually catch up. This is why it’s important to try and pick a specific bar soap that is designed for men. You might have noticed some soaps foaming more than other, and this is perfectly normal as it depends on the ingredients used. But, what we are talking about today is the difference in foaming between a natural and commercially produced soap. You should note that commercially produced soap usually makes a lot more foam. This is due to specific added chemicals called lathering agents. In most cases, this effect is purely cosmetic and does not add any additional value to the soap itself. Natual soaps will foam less, but their cleansing and moisturizing abilities will not suffer due to this fact! You need to identify your skin based on these four main types, and act accordingly. Ingredients order – not a lot of people know this, but the ingredients are listed in a descending order based on the amount present. Which is why the first ingredient listed in most skin care products is water. Size does(not always) matter – just because an ingredient is present in 0.5 or 1% does not mean that the product is bad, it just means that’s the right amount for it to be most effective. We are very systematic in our review approach. Since starting our blog back in 2014, we’ve gone through over 1200 different skin care products, to give you only the best ones and weed out the rest. When it comes to our review process, we always try to adhere to strict guidelines and format our reviews accordingly. Even if you’ve never heard or used the product you are thinking of buying; you can take one look at the list of ingredients and make a fairly accurate assumption regarding its effectiveness. We are avid label readers as we base our product’s database on quality ingredients. This is why, in the previous section, we advised you to learn to read the labels correctly – the ingredient used in the highest amount is listed first followed by those in smaller amounts in descending order. Of course, we have nothing against new products, but since we have an obligation and a responsibility to you, our readers, we must investigate how the product performed since it was introduced to the market. Another thing to keep in mind is that we do not put more emphasis on larger brands, we often found excellent products being manufactured by previously “unknown” brands. We try to cover products on both ends of the scale. But, our emphasis in on quality, natural (organic) ingredients, and it comes as no surprise that these products will cost a little bit more. The ultimate choice is up to you though, do you want to save a few $ and risk damaging your skin, or are willing to pay just a little extra and buy a product that will make your skin glow! Because there are so many products on the market today, testing every single one would be close to impossible! This is why we have to also rely on what the customers have to say. If, for example, there is a lot of negative talk surrounding a particular product, we will try to avoid it. On the other hand, if people are pleased, we take notice. We also go a step further… Sometimes people can be dishonest; they will say the product helped them when it, in reality, it didn’t. Why would people do it? 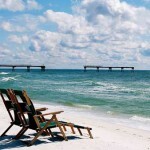 The most common reason is being compensated for a positive review. This is why it is necessary to distinguish these people from the ones that are giving their honest feedback. Over the years, we got quite good at this, so you won’t have to worry about dealing with fake reviewers. We love products that are useful, get the job done, but also like those manufacturers that went a step further and offered something unique. 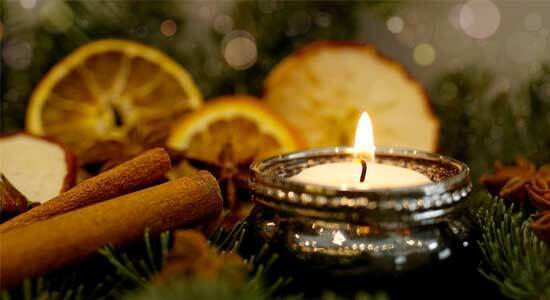 It can be something as simple as a pleasant fragrance, a unique mix of ingredients, attractive packaging, etc. The story of Aspen Kay Naturals started, in 2012 in a small kitchen. Named after the owner’s daughter Aspen, its beginnings were humble, the soaps manufactured here were only meant for the family and close personal friends. As the time went by, emboldened by the overwhelmingly positive response, the decision was made to start selling on a larger scale. Nowadays, even though the operation outgrew its original tiny kitchen, the soaps are being produced the old fashioned way, using the cold process method. The entire manufacturing process is done by hand, taking place in the US. – Unrefined shea butter – shea butter is an incredible moisturizer, perfect for sensitive dry skin. It will also reduce skin inflammation and soften the skin. – Extra virgin olive oil – in addition to being a good moisturizer, it will also help repair skin damage from sun exposure, cigarette smoke, and various air pollution. – Sunflower oil – sunflower oil proved to be effective in fighting acne, eczema, and general skin irritation. – Castor bean oil – castor oil is perfect for sensitive skin as applying it won’t clog your pores and irritate your skin. Applying it on a regular basis will improve your complexion, tone your skin, and lessen the possibility of developing blackheads. NOTE: once you start using this soap, you might experience more acne breakouts! This is perfectly normal, in fact, it is considered a good sign since it shows that your skin is releasing a lot of the toxins and impurities from its deeper layers. 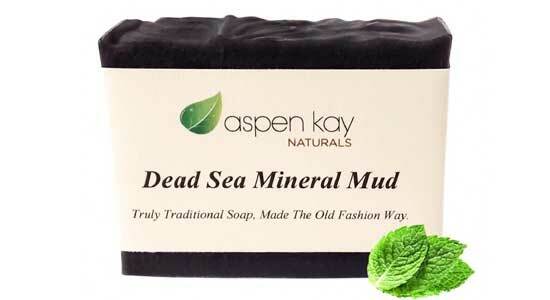 If you are looking for the best men soap with premium ingredients, suitable for all skin types(works wonders for sensitive skin), you can use on a regular basis; Deep Sea Mineral Mud soap is the right choice! As for the price, it may pleasantly surprise you, considering the ingredients that went into it and the fact it is being produced using the cold process method. 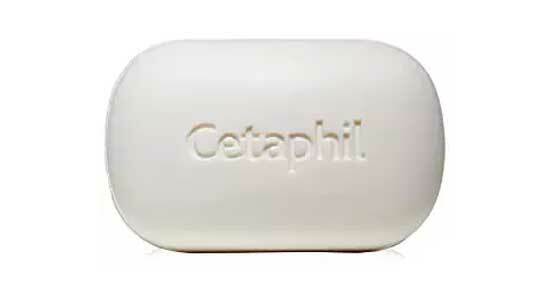 Believe it or not, last year Cetaphil celebrated its 70th birthday! The company received numerous rewards over the years and currently has 5 global research and development centers dedicated to improving their current products and producing new ones. This bar soap uses a proven formula intended for people with sensitive, dry skin that is prone to irritation. It is mild and designed, so it does not clog your pores. Though the majority of people who tried it state they did not notice any fragrance, some people that are overly sensitive could detect it. 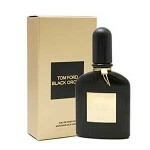 That being said, the scent doesn’t last long and is not overpowering by any means. The majority of people who actively try to avoid bar soaps are those with existing skin conditions such as rosacea and eczema. They fear a common bar soap will irritate their skin further, so we can’t blame them. But this soap is different. In addition to not leaving a thin, sticky film on your skin after rinsing, it does not dry out or irritate your skin. On the contrary, it leaves your skin clean, fresh and well hydrated! Many psoriasis sufferers are concerned and ask if they should use it on their body as well. We are here to tell you that you can and should use it on your entire body as it is mild enough not to pose any threat to your overall skin health. No skin care products list would be complete without Baxter of California! The company was founded in 1965 by Baxter Finley who, by his own words, couldn’t find any skin care products for men, so he developed his own! As the years went by, the demand for beauty products for men started to rise and so did this company. Today, it’s one of the leaders in the field and continues to grow and develop. 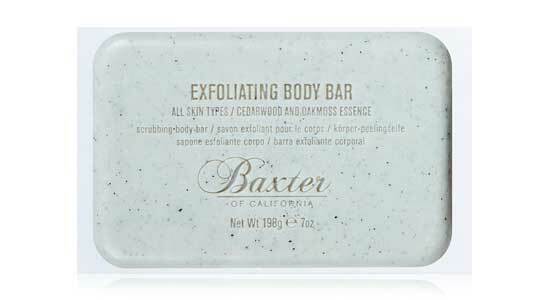 Exfoliation – The main ingredient in this exfoliating body bar for men is jojoba meal. Jojoba meal is composed of finely grounded jojoba seed particles. It is gentle enough so it won’t irritate or dry out your skin, but it will provide deep cleaning and scrub dead cells and impurities. Masculine fragrance – the fragrance of this bar soap is a combination of cedarwood and oakmoss, so its very “earthly” and manly. Though the smell will linger for hours, it’s not overpowering and it won’t bother you at all. Superior hydration – another key ingredient, besides jojoba, is crushed olive seed. Crushed olive seed oil is one of the main ingredients used for skin hydration as it contributes to the skin’s natural ability to produce sebum. It will also penetrate deeply into your skin and allow it to lock more moisture in. Cool “visual effects” – this soap lathers… a lot! we know that some of you love that soapy mess! If you are one of those people, you’ll love this product! Convenience – you are free to use this soap daily, as much as you can and regardless of skin type you have. 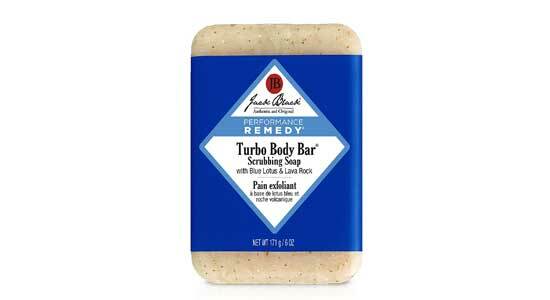 One thing we’d like to point is that this soap is for body only, so using it on your face is not recommended. Duration – this soap weighs 7 ounces so you won’t have to worry you’ll use it up any time soon. Of course, Jack Black is by no means the “Little guy,” they grew to become one of the leading skin care brands for men today! But, they also started out small – since the day one (to this very day) own and run by the founders (a local family from Texas)! What’s In This Gentleman’s Bar Soap? You can use this soap on a daily basis, ideally two times per day – in the morning when you wake up and in the evening before you go to bed. We’d say you don’t have go to such extremes, you can just cut the soap bar in half. Despites acting so tough and edgy, this company is also dedicated to helping those in need. On their website they indicate that a portion of their proceeds goes directly to veteran support programs(they also hire vets to work for their company). But, let’s talk a bit more about the soap itself. Despite the company being so rugged and manly, this men’s bar soap is surprisingly gentle. 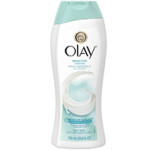 It will clean your skin without stripping too much oil and drying t out. The scent of peppermint and menthol is cooling and will sooth your skin. Though some users complain it could be a bit stronger, we feel that this is just the right amount, a stronger scent might be a bit overpowering. And thanks to its incredible size, this soap should last you a full 4 to 5 months! Thats a lot of soap considering its price. Also, it might come in handy if someone breaks into your house. Just grab your “brick” from the bathroom and clock ’em over the head – a guaranteed knockout! 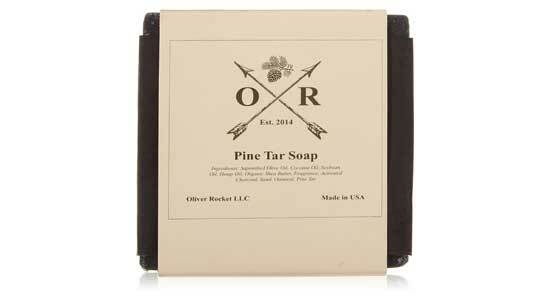 Just like the Duke Cannon, this pine tar soap gives you good value for money – three bars of soap totaling at 15oz, at a reasonable price. Of course, we are looking more at the ingredients of the soap itself, rather than saving a few bucks (but noone’s going to hold it against you if you want to be practical). Though the soap is a bit cheaper (compared to the rest we’ve reviewed), it features only the ingredients of high quality such as Olive Oil, Coconut Oil, Soybean Oil, Shea Butter, Activated Charcoal, Sand, Oatmeal, and Pine Tar. Of course, out of all these ingredients, pine tar peaked our interest so we decided to dig a bit deeper. Interestingly enough, pine wood tar has been produced and actively traded since the Iron age. Its first described medicinal use comes to us from Hippocrates (who lived more than 2000 years ago). This tar was mostly used to treat skin diseases such as psoriasis and eczema. It also acts as an antiseptic and an anti-inflammatory agent. Due to its unique blend of high quality, natural ingredients, you can use it freely on your face as well as your body. It is perfect for washing your face after shaving as it will soothe your skin and prevent acne breakouts. The soap also comes with a full money-back guarantee. If you are not satisfied with it, you can simply contact the manufacturer and request a refund. This heated debate has been going on for as long as I can remember and, up until very recently, body washes were the clear victors! Bar soaps were always blamed for drying out the skin too much, they stopped being “cool” and were simply put to the sidelines. As we already mentioned above, the main “pro body wash” argument was that bar soaps dry out the skin. This is true for those cheap soaps that are manufactured commercially in bulks. If you look at the other side of the spectrum, you’ll see well crafted, preium bar soaps that offer just as much moisture as your most expensive body washes. When it comes to hygiene, bar soap is a clear winner! I can already see you asking how can this be true, doesn’t using the same soap transfer bacteria from one person to the other? The answer to this question is yet another clear and definitive “no.” A recent study published on the US National Library Of Medicine website states that there is little to no hazard in using the same soap as it won’t transfer any noticeable bacteria. Body wash lids, loofas, and sponges, on the other hand, are a proven breeding grounds for all sorts of nasty bacteria and molds. Though you could control the amount of body wash you squirt out of the bottle, you will go through it much faster than your preferred block of soap. A new, regular sized bar soap can last anywhere from 1 to 3 months (depends on how often you use it). A body wash simply won’t last that long. Even if they both last the same amount of time, bar soap is still a bit cheaper. We can call this a draw because they are both easy to use (body wash might also require the use of loofah). And as for the travel friendliness – you can easily store a dry soap, but after you get it wet, it becomes a bit of a problem since you have to mind the potential leakage. Body wash is no better as the lid can come off and make a complete mess of your bag! Bar soap will, in most cases, require a special rack. 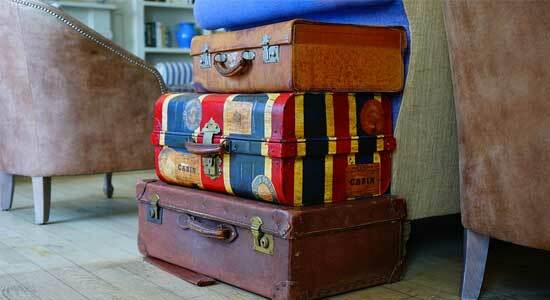 Now, some people have a problem with it or think of it as a waste of time, space and money. I, on the other hand, love my soap racks! I have two of them, one just above my hand sink and another one it the shower. So this is really a matter of personal preference. I threw it out after 2 days. It seem to dry out the skin on my hands too much, it felt weird and… I wanted my old bar soap back! Those that are opposing bar soaps say that they dry out the skin. This is true… to a certain degree. Of course, there are some commercially produced soaps that have a higher pH which leads do dry skin. But there are also those with pH levels closer to our skin. Furthermore, these soaps also contain glycerin – a proven ingredient that helps people with dry, sensitive, and disease prone skin (all the soaps on our list are like that). When it comes to mess, we have to be honest and say the liquid soap dispencer is more convenient than a big block of bar soap for men. You can just pres the pump and squirt as much soap as you need. A bar soap will, however, leave a thin layer of residue on its rack. The soap is also “slippery when wet” so it may slip out of hand and make an even bigger mess. We already covered this point in our previous section but it’s worth mentioning again. Considering its wet environment, we might even say that bathroom is the perfect breeding ground for all kinds of bacteria: E-coli, streptococcus, salmonella, paratuberculosis, etc. So now you see how something as simple as a soap serves such a vital role in shielding you against these nasty microorganisms. And this is the card the liquid soap manufacturers are playing on – people’s fear. Well, we are here to tell you that a bar soap will do an equally (or an even better job) when compared to a soap dispenser because the soap is self cleansing.